In this well, we have a convenient and steady clean water supply all year round. The well gives us clean drinking water for both consumption and use at the household level. Cases of waterborne diseases in our area were normal after drinking water at River Athi. But now they have decreased because we have a clean water supply from within. 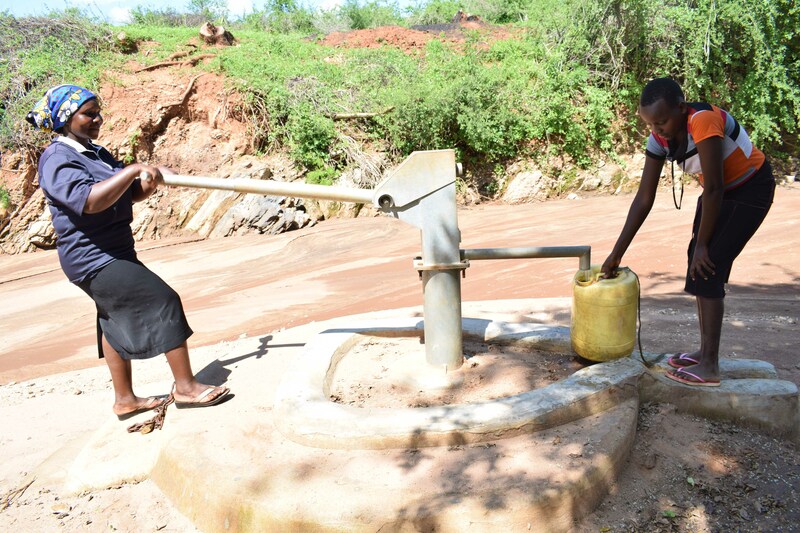 A year ago, generous donors helped install a hand-dug well for the Wasya wa Athi B Self-Help Group in Kenya. Because of these gifts and our monthly donors, partners are able to visit project sites throughout the year, strengthening relationships with communities and evaluating the actual water project. These consistent visits allow us to learn vital lessons and hear amazing stories – we’re excited to share this one from our partner Titus Mbithi with you. The community now enjoys a convenient clean water supply. Members of the group have been selling the well’s clean water to earn an income. They collect more than 3,000 shillings a month, which they can then use for well maintenance and other group activities. 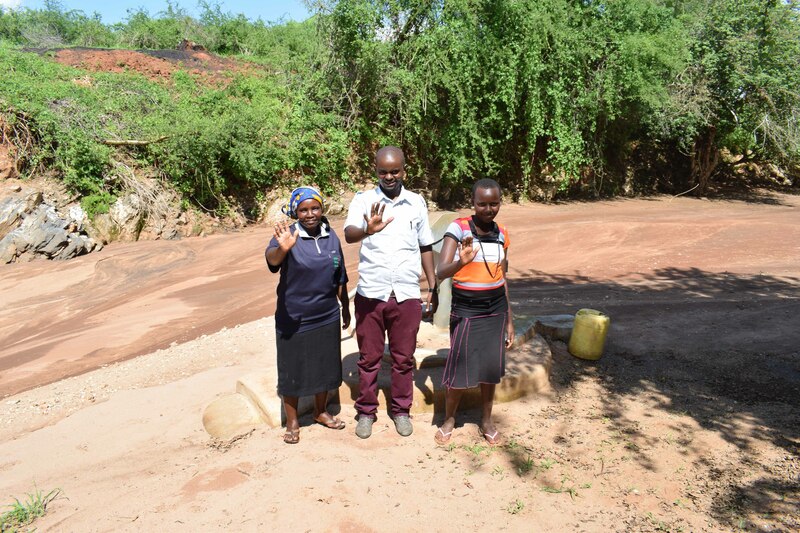 Field Officer Titus Mbithi stands between Elizabeth Kyalo and Mutheu Kitali, two women who feel blessed to have clean water nearby. Elizabeth Kyalo using the pump to help Mutheu fill a jerrycan with clean water. 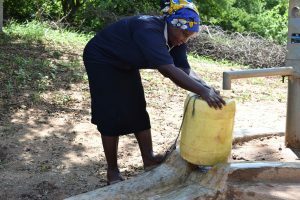 When you invest in The Water Project, you're investing in people like Elizabeth Kyalo. Your gifts help us reach more communities with the gift of clean, safe water. And every drop helps unlock potential.